Whether you’re a high school or college student, a good laptop would come in handy in helping you with all your schoolwork. Unfortunately, it can be quite tricky to know which machine to buy as the specs you’ll need might vary depending on the course you are taking. But one thing is for sure, 2-in-1 laptops are the best bet thanks to their portability, versatility and great efficiency compared to their traditional counterparts. To ensure you get the right one for your needs, we have created a list of top 4 best options for students across every budget. If you are a lucky student with cash to spare, this HP Spectre x360-13t is one of the best overall packages you can get. 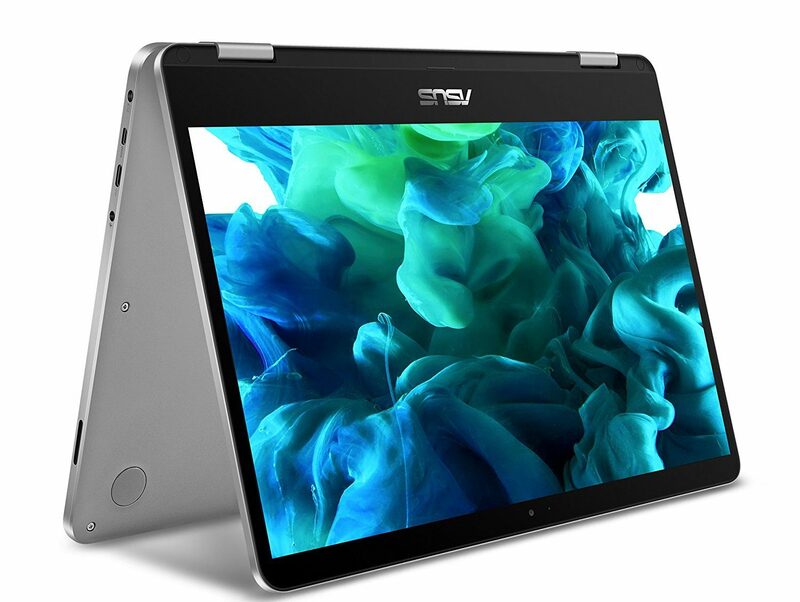 It utilizes 8th Gen i7-8550U Intel Core processor that has a base frequency of 1.8GHz for cutting-edge performance, especially when launching multiple programs simultaneously. Besides its powerful CPU that makes it easy to multi-task, the machine packs 16GB of LPDDR3 RAM onboard along with 512GB of SSD storage. Therefore, opening high-memory applications and starting up the device should not be an issue. In addition to this, the manufacturer claims that the machine can last up to 16 hours on a single charge. As such, you can jump right from class to the books without having to look for a charging station. What’s more? The PC is fitted with Bang and Olufsen quad speakers designed to deliver an amazing entertainment experience when you’re not busy with school work. On top of that, it includes an IR camera with a fingerprint reader to allow for secure login without the extra hassle of passwords. For added user-friendliness, this 2-in-1 PC is equipped with an LED-backlit TouchScreen so you can work on your assignments even at night. An Active Stylus pen also comes in handy so you can take your notes without any fuss. The ASUS VivoBook is one of the nicest-looking 2-in-1 budget laptops for students available. With a thin and light design, the machine is quite portable and will fit in your school bag comfortably. Further, it features a premium battery that lasts all day on a full charge so you will not need to hunt for power outlets. Additionally, the PC is equipped with a 360-degrees multi-gear hinge alongside a stepless action that allows you to use it in laptop, tablet, tent or stand mode without problems. As if that’s not enough, it features a USB 3.1 port, micro USB 2.0 port, USB Type-C and micro HDMI for superfast data transfers. Moving on, the Asus VivoBook is powered by an N3450 Intel Quad-Core Processor that delivers powerful and efficient performance especially when multi-tasking. To top it all up, it features a high-precision touchscreen and a Stylus pen for jotting down your ideas effortlessly. Thanks to its innovative combination of software and hardware, it delivers the most amazing audio for the superior entertainment experience. As far as storage is concerned, the machine boasts 64GB in Hard-Drive Solid State and 4GB of DDR3 RAM to keep everything running as smoothly as possible. This is a great machine for any student looking for a 2-in-1 laptop for school work and also for enjoying some entertainment. Featuring a full HD touchscreen IPS display, you can watch movies and browse the internet from almost every angle in vivid detail. Furthermore, you can easily flip it to a tent or tablet mode for perfect viewing angle. What’s more? It is fitted with Harman Audio speakers that deliver clearer and louder sound quality. With a 78 inch thin profile and weighing around 4.4 pounds, you can easily pop it in your bag and take it with you to school. When it comes to battery, the PC provides up to 10 hours of battery life. Therefore, you really don’t need to carry a charger with you or worry about finding a charging outlet. Its fingerprint reader, on the other hand, allows you to log in to the device securely and instantly. 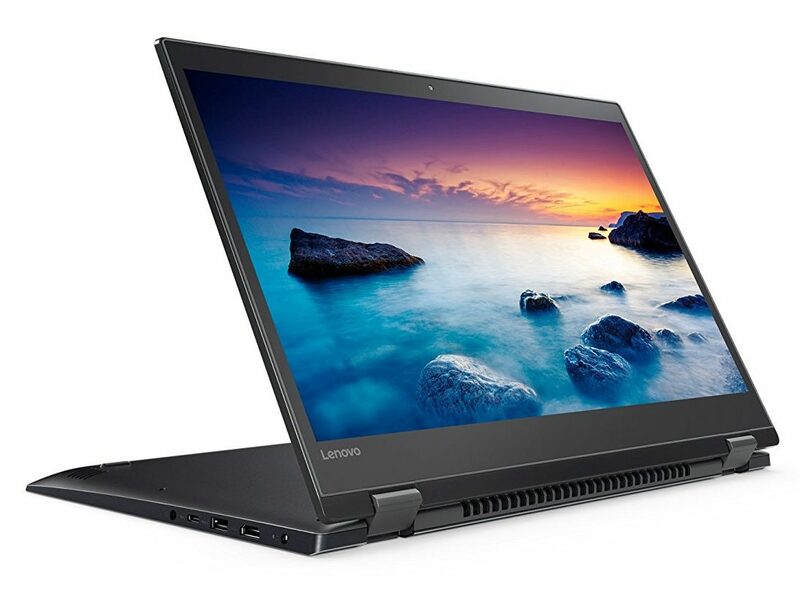 The Lenovo Flex 81CA0008US is equipped with 8th Gen i5 Intel Core processor and 256GB of SSD storage capacity. This ensures you enjoy lighting fast transfer times and start-ups as well as plenty of memory for all your files. Last but not least, it comes with a backlit keyboard so you can work comfortably even in dim light conditions. Also, the device spots Windows Ink function that allows you to type, write or take notes using Lenovo Active pen with great accuracy. 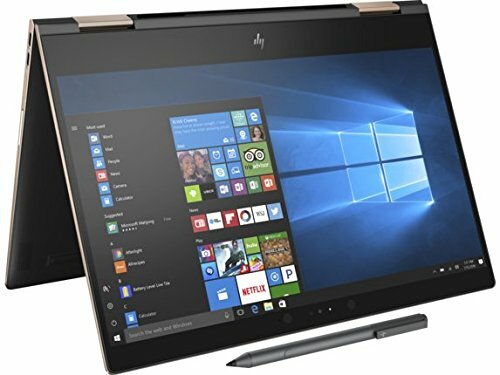 If you need a top performance 2-in-1 laptop and are willing to spend a little bit more, this HP ENVY x360 is a nice option. It utilizes a 15.6-inch full HD touchscreen display for easy hands-on control. In addition to this, the device boasts built-in HD Graphics 620 so you can enjoy some light gaming when you’re not busy with school work. Moreover, it operates on an 8th Gen i5-8250U Intel Core processor with a standard speed of 1.6GHz for ultra-fast performance when multi-tasking. As if that’s not enough, the PC includes 256GB of SSD storage and 12GB of DDR4L RAM which makes it even easy to start up and load files. In terms of connectivity, this is yet another area the PC does not disappoint. First off, it is outfitted with a USB Type-C port, HDMI port and two USB 3.1 designed to ensure fast charging as well as data transfer. It also comes with a microphone input and headphone output combo. But wait there’s more. 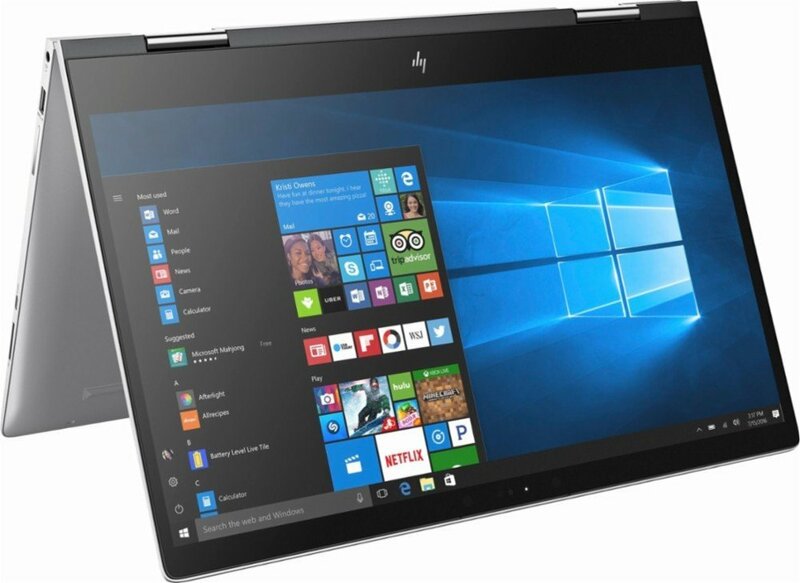 The HP ENVY x360 also supports 802.11a/ac/b/g/n Wi-Fi and Bluetooth 4.0 for fast wireless speeds and superior performance on the go. Finally but most importantly, it supports a backlit keyboard that enables you to work without any issues late in the night. 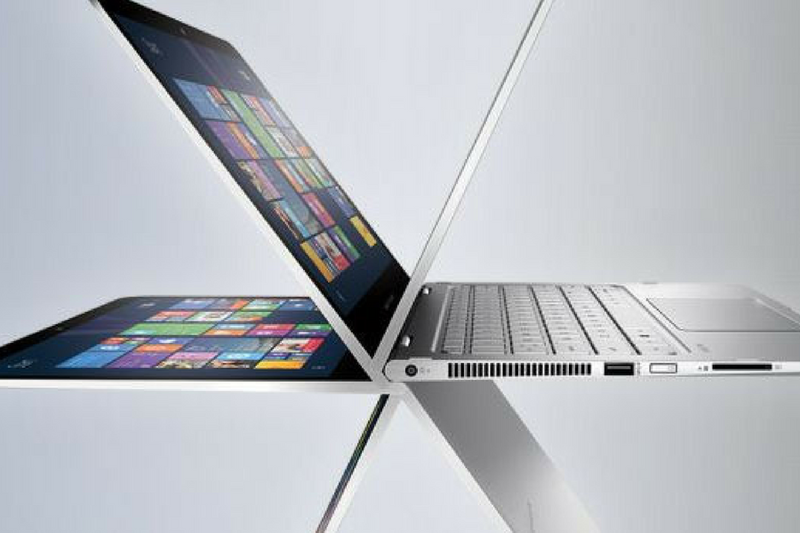 Clearly, there is no one-size-fits-all 2-in-1 laptop for students. Fortunately, the market is full of options. The 4 reviews shared above represent some of the best options on the market. So if you’re shopping for the best deals, beginning your search with any of these four options would be a noble thing to do.